Most encryption discussions start with my customers asking about the algorithms available. My usual response is "That's a great question. But talking about that now is like worrying about how to dispose of a bomb before disarming it." The point I'm trying to make is that effective encryption algorithms are required, but not sufficient. If you don't have robust, secure key management, encrypting data is a waste of resources regardless of the algorithm used. Therefore, the first place to begin any new encryption project is key management. All of these need to be provided in a manner that provides tight control by a select few encryption key administrators who don't also have access to the encrypted data. At first glance, key generation may seem relatively easy. Just generate a key of the appropriate length and store it somewhere. But that's only a piece of the problem. First, best practices says that no person should know the key and no one person should be able to generate a new key and put it into use. Second, unlike military secrets on the battlefield, data encrypted today may need to stay protected for years or even decades. But the longer data remains encrypted with the same key, the higher the risk of that data being compromised. Best practices address this by implementing key rotation (i.e. generate a new key, unencrypt data encrypted with the old key, and re-encrypt with the new key). The next important area for a good key management solution to address is key distribution. One aspect of key distribution is secure storage, retrieval and transmission of keys. Key management solutions must make it easy for approved application and system interfaces to work with unencrypted data while not exposing the keys to those interfaces or to any human users of the system. Good key management solutions typically use a hierarchy of keys (such as key encryption keys and data encryption keys) to help enable this function. Another aspect of key distribution is authorization. While operating systems can be used to specify which people are allowed to access data in a database, they do not provide mechanisms to indicate whether encrypted fields in the database should be decrypted or not. Consider a scenario where Joe has access to the CUSTMST database because he runs a specific application. Joe's job does not require him to access customer credit card information, which is encrypted. The application does not show Joe this information so it isn't a problem from that point of view. But what if Joe uses DBU or ODBC to access the database? Good encryption solutions allow an administrator to indicate if Joe is allowed to view decrypted data and will enforce the decision of the administrator by not decrypting information for the user JOE (or Joe user? :-) ). Of huge importance for good key management solutions is government and industry standards compliance. Any key management solution worth their salt will be compliant with any standards that affect your organization. While uncertified solutions may be compliant, there is no way to tell if they haven't been certified by an appropriate third-party as compliant. I recently collaborated with Patrick Townsend of Townsend Security on a white paper discussing the topic of encryption standards compliance on the IBM i. You can download a copy of it here. Finally, good key management solutions provide the functionality discussed above in an easy to use package. What does "easy to use mean?" It means that business logic programmers and system administrators are not forced to become crypto experts or to learn the internals of the key management solution in order to efficiently and effectively implement encryption in your organization. So when you begin your quest to implement encryption on your system, start by looking for the qualities of good encryption key management described here. Only after you find one should you begin to worry about the technical details associated with the encryption algorithms supported by that solution. Patrick Botz is the President and CTO of Botz & Associates. Patrick’s expertise includes security strategy, security policy enforcement, password management and single sign-on (SSO), industry and government compliance, and biometrics. 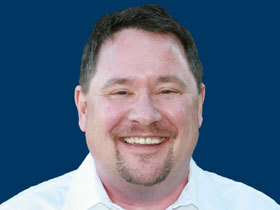 Previously as Lead Security Architect at IBM and founder of the IBM Lab Services security consulting team, Patrick achieved intimate knowledge of system security capabilities and pitfalls on a broad spectrum of platforms, with special emphasis on IBM i (formerly AS/400), AIX, Linux and UNIX operating systems. Over the past two years the IBM i 7.1 (V7R1) has come to be known as a powerful, reliable, and highly scalable solution for businesses. IBM i V7R1 supports total integration and virtualization with new encryption capabilities that are appealing to many companies who must comply with data security regulations such as PCI and GLBA/FFIEC. This new exit-point feature, called field procedures (FIELDPROC), helps businesses to encrypt their sensitive data at column level without any application changes in order to meet compliance regulations and protect data from hackers. This is great news since data breaches have become painfully common. Despite the staggering amount of data breaches that happen every month, a new study has shown that nearly 70% of data breaches could have been avoided had the proper security measures been implemented. Patrick Botz of Botz and Associates recently joined our founder and CEO, Patrick Townsend, in an interactive webinar that focused on security tips both he and Patrick recommend. Patrick Botz is an expert on data security and data breach prevention. He held the position of lead security architect at IBM and was the founder of the IBM Lab Services security consulting team. 1. Use Encryption & Encryption Key Management Best Practices - Encryption is the tool that protects your data. If you do your encryption poorly, there’s really no point in doing it at all. In order to do encryption well you must follow best practices for encrypting data and managing the encryption keys. These best practices include: using AES encryption certified by the National Institute of Standards and Technology (NIST) and key management certified under the FIPS 140-2 standard; and using key management that utilizes controls such as separation of duties and dual control. Your encryption is only as good as your key management. If you follow best practices for encryption and encryption key management, you are also more likely to avoid having to report a data breach and deal with the severe costs. 2. Use Password Best Practices - Password management is often the downfall of many companies who suffer a data breach, especially a data breach that happens internally or by mistake. Patrick Botz specialized in password management and has enabled IBM i users to manage their passwords more securely with his Single SignOn (SSO) service, SSO Stat! Using a program called Kerberos, SSO works with both Windows and IBM i domains to streamline password use in a secured environment. 3. Monitor Your IBM i with System Logging - A crucial step to achieving good data security, receiving important system logs in real time and using a SIEM solution can help a database administrator prevent or catch a system breach as soon as it happens. System logging is also a critical part of meeting most compliance regulations. One challenge around system logging on the IBM i, however, is that security audit journal, QAUDJRN, is in a proprietary IBM format. In order for these logs to be centralized and correlated with other logs in your server environment, these IBM logs must be translated into a useable format. File integrity monitoring (FIM) is also important to monitor configuration changes. Townsend Security’s Alliance LogAgent provides file integrity monitoring and translates all of your logs into a single usable format that can be read by your SIEM provider. Encryption, encryption key management, password management, Secure System Logging and File Integrity Monitoring are all absolute necessities for a business to safely store their data, and avoid legal complications due to negligence. Please check out our resources tab to find out more information. You can find us on Facebook, Twitter and LinkedIn as well as our website, www.townsendsecurity.com. Start better security today! Did you know that many compliance regulations consider an email address personally identifiable information (PII) and require it to be encrypted? Security experts recommend using NIST-certified AES encryption coupled with an external encryption key management hardware security module (HSM). With the introduction of FIELDPROC in V7R1, IT teams can now encrypt their sensitive data without application changes – saving development resources and time coming up with excuses to company leaders on why the company is still at risk. For organizations who have been encrypting their sensitive data, security audits often find they haven’t been properly managing their encryption keys. Encryption keys should never reside on an IBM i with encrypted data. 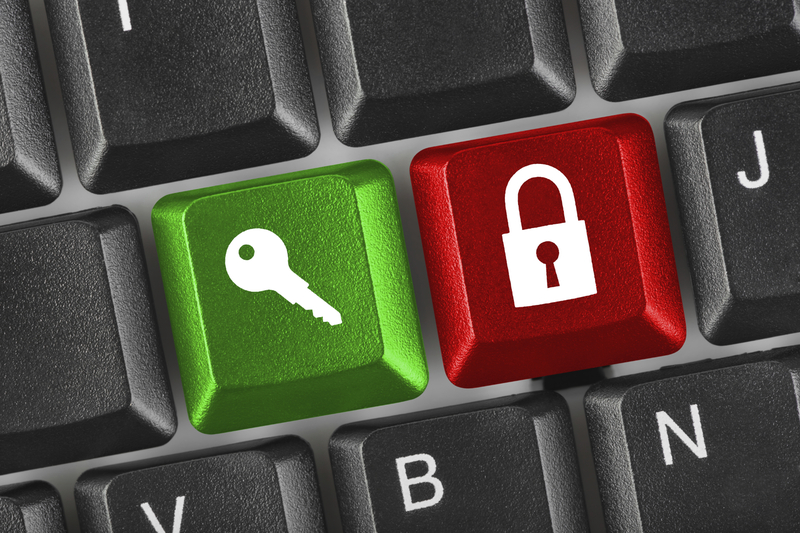 We help more enterprises than you would like to know after they fail a security audit for improper encryption key management. Data format – IBM security events are in internal IBM format, not syslog format. Multiple sources – Security events get collected in a variety of locations, almost always in an internal and proprietary IBM format. Timeliness – Tools are lacking to collect security events in real-time, increasing the security exposure. Communications – There are no native syslog UDP, TCP or SSL TCP communications facilities. Data completeness – While it is possible to print security information using IBM tools, critical information is missing from reports. Fear not, there is a solution – Alliance LogAgent Suite with File Integrity Monitoring (FIM). Alliance LogAgent Suite can send system logs to any collection server that is listening for messages. Additionally, the FIM tools allow system administrators visibility right down to the field and column level, record-by-record, in their databases.